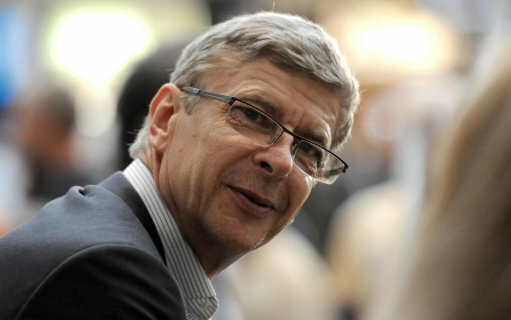 Arsene Wenger has dramatically entered the race to sign England's Joe Cole. Arsenal have emerged as the frontrunners to sign Joe Cole. Arsenal are looking to lure Joe Cole to the Emirates with a rumoured four-year contract that will see the star rake in up to £150,000 a week. Arsene Wenger has spoken of Joe Cole in glowing terms and outlined his fierce determination to keep Cesc Fabregas at Arsenal for at least another season. Arsene Wenger has made it clear he has no intention of selling Cesc Fabregas to Barcelona as the departure of the captain would undermine all he has tried to achieve at Arsenal. Arsène Wenger says he is a firm admirer of Joe Cole – who is available on a free transfer when his contract with Chelsea ends this month – but the Arsenal manager stopped short of saying that he would try and sign the England international. Arsene Wenger today insisted he is "80 per cent" certain that Cesc Fabregas will be playing for Arsenal next season. Arsene Wenger has broken his silence on the ongoing Cesc Fabregas Barcelona transfer saga and pledged that the Spaniard will still be an Arsenal player after the World Cup. Arsenal have made an improved bid of £8.2million for exciting French centre-half Laurent Koscielny. Yaya Toure's agent says Barcelona are asking for too much money for the Ivory Coast international. Arsenal manager Arsene Wenger has admitted he is keeping an eye on the development of Everton's Steven Pienaar. Robin Van Persie believes Holland are in perfect shape to cause a major surprise at the World Cup.